Published: Oct. 29, 2017 at 02:53 p.m. Published: Sept. 10, 2017 at 03:29 p.m. 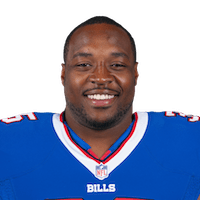 Published: Aug. 26, 2017 at 09:06 p.m.
Buffalo Bills running back Mike Tolbert gets into the endzone for a 1-yard touchdown during Week 3 of the preseason. Published: Sept. 16, 2013 at 04:19 a.m.
(12:04) (Shotgun) C.Newton pass short right intended for M.Tolbert INTERCEPTED by K.Alonso at BUF 19. K.Alonso to BUF 19 for no gain (M.Tolbert).